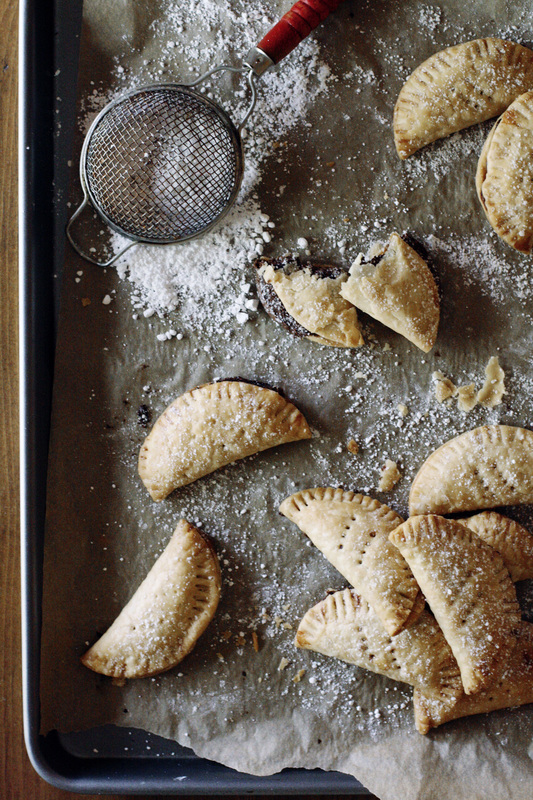 i threw together nutella hand pies for a quick dessert this week. use your favorite pie crust recipe, and cut out circles about 4" in diameter. fill with a spoonful of nutella, fold and crimp the edges with a fork. brush with milk, and bake at 350 degrees for 20-25 minutes. so easy. and really-- you can justify them for breakfast, too!